CURRENTLY CLOSED. Welcome to Teaffee, where you can enjoy the best of both brews! Conveniently located in Brooklyn, this local, family-run business sells coffee beans, rare loose-leaf teas and a variety of accessories. Stop by and let our specially trained baristas create a quality beverage that you’re sure to love. The earthy tones and laid-back atmosphere make Teaffee the perfect spot to relax a little, catch up on work or socialize with friends. 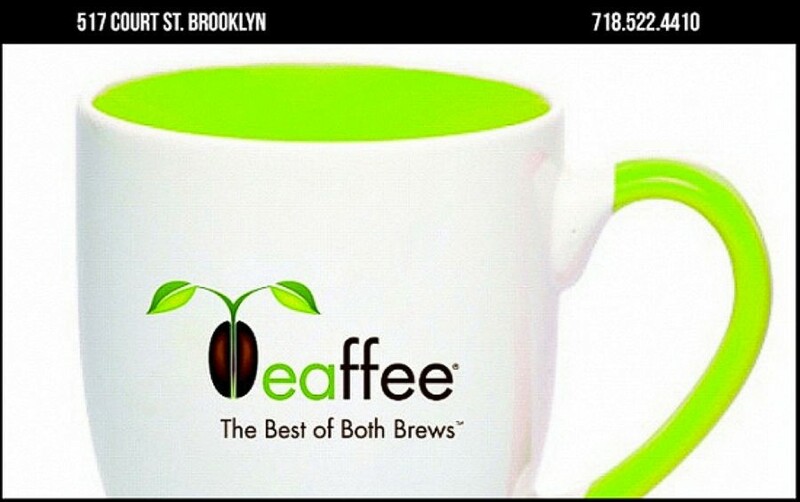 Our unique café brings delicious blends of tea, coffee and assorted treats to the Brooklyn community. Customers are raving about the “Teaffee,”our fantastic signature drink with a perfect blend of tea and coffee that tastes perfect hot or cold! We also offer assorted beverages from specialty tea and coffee, brews, coffee by the bag and frozen drinks including tea and coffee infused ice cream. At Teaffee, we’re working to share the “best of both brews” from all over the world! Come join the fun and have a drink at Teaffee, we look forward to meeting you!